Options can be limited for those who do not respond to standard eating disorder treatments. Schema therapy is one of the new exciting frontiers in the treatment of this clinical population, offering a much-needed model that integrates both developmental and deeper level personality factors. 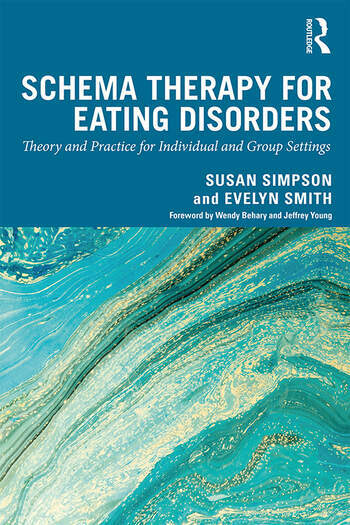 Schema Therapy for Eating Disorders is the first book of its kind, guiding clinicians to deliver the schema model to those with entrenched or enduring eating pathology, and in turn encouraging further clinical research on this approach to treatment. Written by an international team of leading schema therapy experts, this book draws on their clinical knowledge and research experience. Comprehensive and practical, this book introduces the rapidly-growing evidence base for schema therapy, outlines the application of this model across eating disorder diagnostic groups, as well as individual and group modalities, and explores practical considerations, common challenges and the therapeutic process. The book includes detailed case examples, which provide a theoretical and practical basis for working with transference, and outlines methods of ensuring therapist self-care in the face of difficult and often long-term work. Innovative and accessible, this fresh look at the treatment of eating disorders will be an invaluable resource for clinicians in the field. Dr Susan Simpson is training director of Schema Therapy Scotland, and Consultant Clinical Psychologist in an NHS-Scotland inpatient eating disorders unit. She has held numerous clinical and academic posts and has over 20 years of experience working with eating disorders and complex comorbidity. She has published widely on schema therapy and eating disorders. Dr Evelyn Smith is a Clinical Psychologist and a Senior Lecturer at Western Sydney University, Australia. She has held multiple clinical positions, including heading the Eating Disorders and Obesity psychology research clinic. She has published widely in the area of eating disorders and was Chief Investigator of a grant assessing group schema therapy for eating disorders.